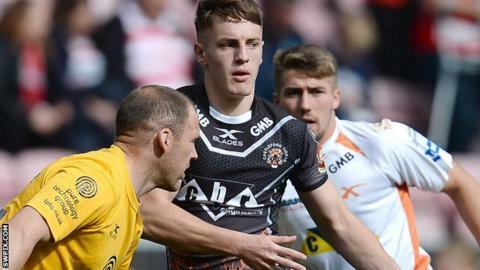 Castleford Tigers half-back Jake Trueman has signed a new three-year contract. The 18-year-old joined the Tigers from Bradford Bulls in January and scored a hat-trick on his full Super League debut against Wigan in September. Coach Daryl Powell said: "I'm really happy that Jake has decided to extend his stay with us. "He's shown he has a lot of potential. I think he is the most promising half-back in the English game."